All domestic (inside the United States) sales to municipalities are handled by our exclusive municipal distributor, FireIce Solutions, LLC. Please visit their website, or call toll-free 844-342-3347 for more information or to place an order. For International Orders, please call +1-561-427-6144 or see if a distributor is already available in your country. 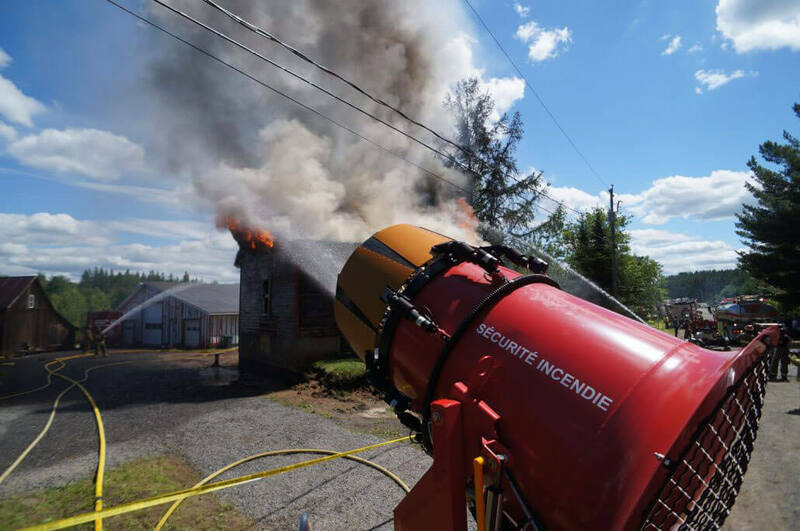 Extinguishing fires with FireIce is quick, in fact it's faster than foam and water. FireIce knocks down fire with no re-ignition, adheres to burning material, suffocates fire and breaks the fire triangle on two sides. It adheres to the source of the heat, regardless of the surface, including ceilings. Heat transfer within structures and to other material is dissipated with FireIce. It has been shown to withstand heat up to 5,000° F.
FireIce is easy to use, easy to clean up, and non-toxic to the environment. By adding FireIce to water, you will also substantially decrease the amount of water needed to do the job. 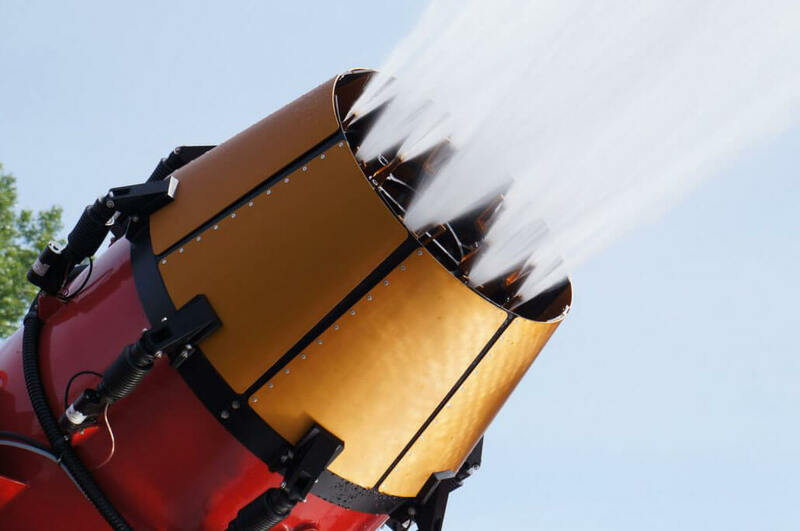 It is currently being used worldwide by firefighters, first-responders and military personnel as a fire suppression system to extinguish even the largest of fires. We were on scene ahead of our engines, and there was a victim trapped inside. With two water cans filled with FireIce, I started towards the building. My chief and another fireman had tried twice to get to the victim's bedroom, which was maybe 15 feet in to our left, but got pushed out both times. I was ordered to stay at the door and not to try again because it was too dangerous. So I sat there and did what I could. Remembering I had FireIce, I coated the bedroom door and also sent some down the hall trying to coat anything that I could so that I could make room. Surprisingly, I made it (through the hall) and was able to enter and start locating our occupant. With one can empty, I used the last one sparingly, covering what I could, searching a little, covering some more, and trying to cool down the ceiling as much as possible. I grabbed a member off the line, and we searched the room again. My partner found our occupant, and we removed her from the room, passing her to our brothers to get her out. After the many times using FireIce, and after what I saw when I went back in to look at where we were fighting, I am sure that the FireIce I was using bought me valuable time where water alone would not have. It still amazes me that even in a fire as hot as this one, you could make out exactly where I was hitting the walls and ceiling with the product, almost as if I went in with a marker and marked where my stream hit. The best solution for quality, durability and performance (5 fire hoses = 1 Drago) is now available with the new “Drago." Its design allows quick and precise deployment for any type of fire. 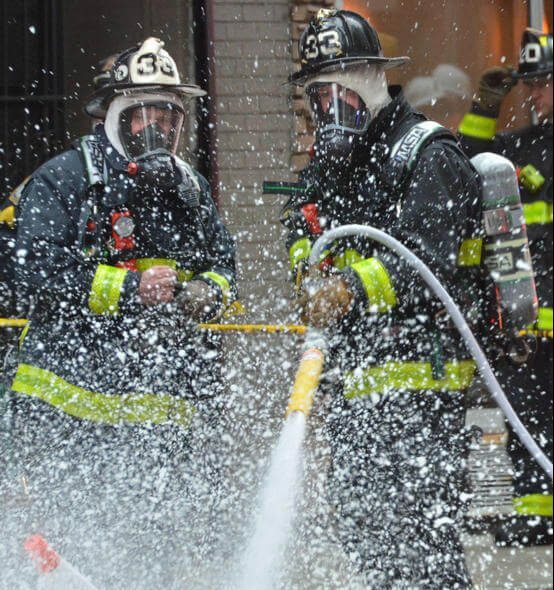 The nozzle system, a patented technology from Drago I.S.I., increases the possibility of extinguishing small or large fires, and its large absorption capacity reduces the response time. No nozzle to clean, no downtime. The “Drago” is equipped with the latest technical innovations and offers powerful and effective features.